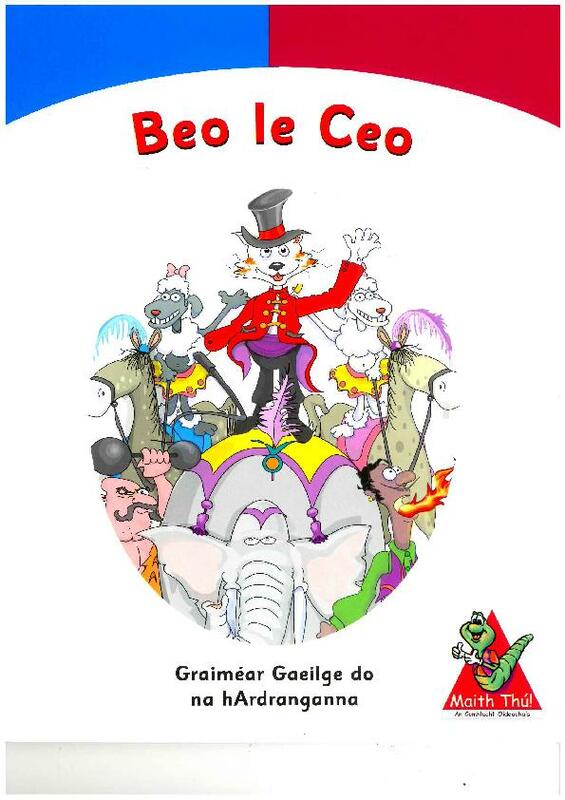 Beo le Ceo is a fun-filled workbook of exercises to reinforce grammar. 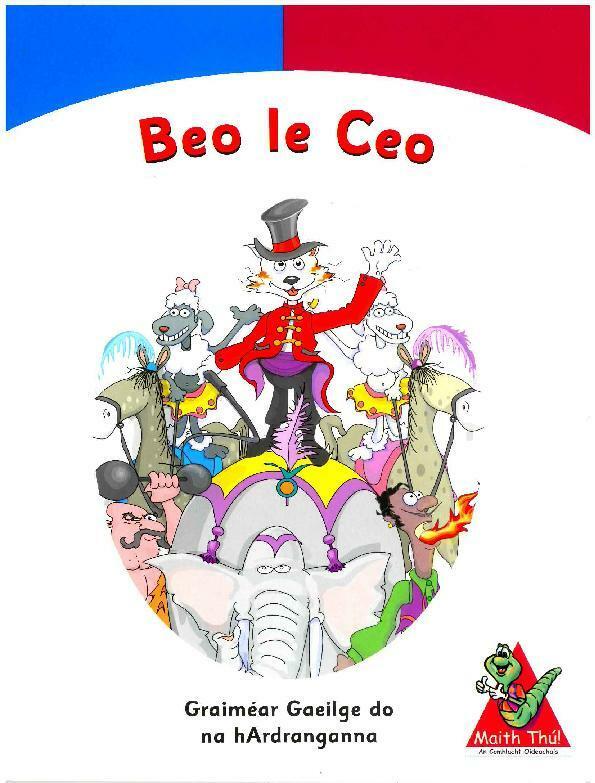 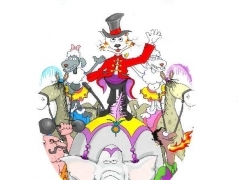 Beo le Ceo contains basic rules and exercises in phonics & verbs. Plurals, prepositions, questions, céimeanna comparáide, samlaoidí, treoracha, ordaithe and uimhreacha are all covered.